Is it possible for the believer to ALWAYS abide in Jesus? If abiding is our work, done in our own strength, the answer is NO. But if the Lord Himself keeps the soul day and night, watering it every moment, then uninterrupted communion with Jesus is indeed possible! In fact, it is the spiritual walk every Christian ought to enjoy. accepting His offer, consenting to live in Him - ONLY! believing His promise that He keeps us moment by moment, every moment of our lives. We know that the natural man is sinful, and that we live in a sin-cursed world. There are two objections raised when believers ponder how to always abide in Christ. Objection 1 Our limited powers prevent us from being occupied with two things at the same moment. How can a person be doing his work in full concentration on the task at hand while at the same time consciously abiding in Christ? How can a mom who is washing the breakfast dishes with a toddler hanging onto her skirt and a 6-year old asking how to spell "machine" with the phone ringing in the background and the mailman at the door keep on abiding in Christ. Wouldn't she have to withdraw herself from all the ordinary activities of life, and live in a monastery? Answer Abiding in Christ does not mean our minds must be engaged each moment, or directly occupied with abiding. It is an entrusting of ourselves to the keeping of eternal love, in the faith that it will abide near us. 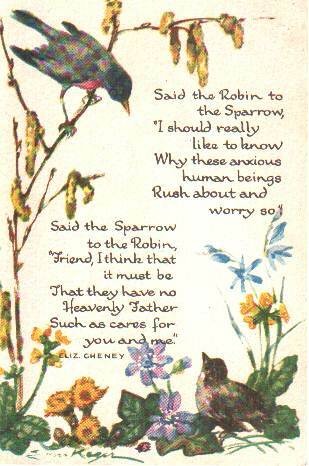 . . and watch over us, and ward off evil. Our hearts then have rest, peace, and joy, knowing we are kept moment by moment. Abiding in Christ is a settled trust that God is keeping us always. A father who works all day has his family in mind as he tackles his occupation. They aren't always first and foremost in his thoughts, but his love for them is what keeps him toiling to bring home the bacon. A king who goes about his royal duties always acts under the consciousness of his royalty. A mother never loses the sense of her responsibility to her husband and children, even when she is away from them and busy with other activities. In the same way, we can always be aware that Everlasting love keeps us constantly. We are IN CHRIST, kept in Him by HIS ALMIGHTY POWER. Objection 2 We look upon the fact that we will sin daily as inevitable. So how can we continuously abide in Christ? We'll certainly fail and be unfaithful. Answer This is precisely why we must abide in Christ as our sufficient - and ONLY - deliverance! We must live in Christ, depending on HIM to live in us. If we fail, we flee to Him, to confess and be forgiven and filled anew with Him. We've had poor examples in older Christians not living a life of faith and trust. We've seen Christians despairing over health issues, finances, failed relationships, family issues. Don't be like them! Don't give in to despair! It is possible to live in healthy, trusting, joyful consecration. He keeps you every moment. Do you believe this? Noah Webster's 1828 Dictionary explains the word "establish". To the end he may establish your hearts unblamable in holiness. l Thess.3. 7. To confirm; to fulfill; to make good. Establish thy word to thy servant. Ps.119. 8. To set up in the place of another and confirm. It is God alone who can establish us in Christ Jesus. We must cease from striving to establish the connection with God more firmly, and allow God to do it! Scripture teaches us that in all God's leanings with His people, FAITH is the one condition for seeing His glorious power work in our lives. 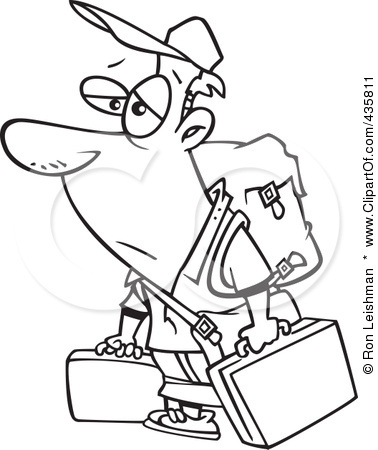 Faith ceases its own efforts and trusts. Faith confesses helplessness and rests. Faith puts itself into God's hands, and sees Him work. As surely as I am in Christ, I will also, day by day, be ESTABLISHED (confirmed, settled, fixed) in Him! He plans my course of study with His infinite wisdom. He delights to have me come each day to Him for the lessons He has to give. So, every morning, I go to my Master Teacher, surrendering to His plan for my day. What lessons would He have me learn this day? Will I be in the school of hardship, partaking in the sufferings of my Lord? Will I be in the school of patience, learning to bear with others in love? Will I be in the school of joy, transported with delight to the highest heaven to worship my God and my King? Whatever lessons He has planned for me are perfect. He knows His disciple - even the thoughts and intents of my heart. I am in Christ, kept there by His power, established for His glory! Praise God! Andrew Murray explains in Chapter 11 how the Christian is crucified with Christ, planted together in the likeness of His death, as Romans 6:5 is rendered in the KJV. Before you can understand the spiritual concepts, you must understand a bit about grafting. Some plants, if grown from seed, end up with fruit that is unacceptable. Apple trees purchased from a nursery, for example, have branches from a good tree that have been grafted in to the root stock, or stem of the plant. Why Graft Plants?There are a number of reasons to graft. The most frequent is to reproduce a plant that has favorable characteristics. When grown from seeds most plants are not 'true', that is they do not produce an exact duplicate of the parent plant. This is because they are the result of pollination and will have differences in their genetic code. Plant an orange or apple seed and it might grow into a tree with tasty fruit. It also might grow into a tree with fruit whose taste is unacceptable. With grafting you can plant the same seed, and then, at the right time, cut the top off and attach a piece of a desirable orange or apple that grows into an exact copy of the desirable parent, complete with tasty fruit. God desires to reproduce His people with favourable characteristics - conformed to the image of His Son. He wants them to grow into an exact copy of Him, bearing good spiritual fruit, for His glory. Grafting is the joining together of two plant parts (scion and rootstock) in a manner that causes these parts to unite and become one plant. 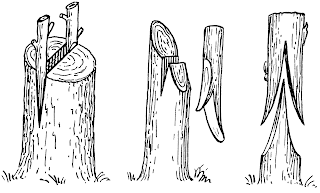 No graft is possible without wounding.There are different types of grafts to be used in different situations, but each entails cutting the root stock and the scion and binding them together so they are immovable. In the death of the cross, Christ was wounded, and in His open wounds a place was prepared where we might be grafted in. 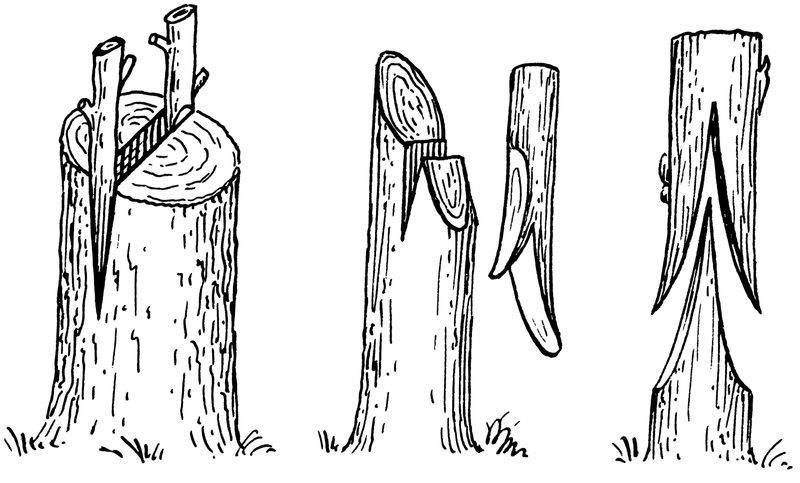 The scion is torn from its natural tree and cut to fit into the graft. In the same way, we are torn from our sinful nature and cut to fit into Jesus. There is a fellowship between Christ's sufferings and your sufferings. Regard the cross as an atonement to God - Jesus paid the price - and regard it as victory over the devil - Jesus conquered Satan! Oh, Lord Jesus, I yield myself to You in undivided surrender. I know You plan my life and order my steps and design my sufferings so that You are most glorified, and I am most conformed to You, My Saviour. Lord, keep me grafted into You. Let me share in Your sufferings so I know You more. You were despised and rejected, disregarded by Your own brothers, misunderstood, unappreciated, persecuted, crucified. You deserved none of that. I know nothing of the depth of suffering that You experienced - and yet I deserve it all, and so much more. Christ came and took my place, so I must put myself in His place, and abide there, at the cross. Lord, help me. I want Your will, Your way, Your heart, Your wisdom. I desire to be sanctified, holy, set apart for Your purposes, living coram deo, before the face of God, in full fellowship and intimacy. I want to die to self and to live as Your servant, Your slave - only an instrument in the Hand of God, to minister grace to others. Thank You for the cross. By Your wounds I am healed. By Your death I have life. Your love is vast beyond all measure. Abiding in Christ - Day 10 - He is Your Redemption! Think about REDEMPTION. What does it mean to you, Christian? It is the complete and final deliverance from all consequences of sin. Amazing. Grace. Jesus Christ has three offices, Prophet, Priest and King. As the Prophet, He is our wisdom, revealing to Who God is, how He loves, & the great salvation He gives. As the Priest, He is our righteousness, restoring us to right relationship with God, securing His favour. As the King, He is our sanctification, forming and guiding us into obedience to the Father's holy will. We long for the grand consummation, when we will have complete deliverance from sin and all its effects, regaining all that was lost in the Fall of Man. Can you imagine? What would it have been like to walk with God in the garden, before sin entered the picture and marred everything? Don't you long for that day, when you are free from sin? As our communion with Jesus becomes more and more intense, we feel the power of an endless life working in us, a foretaste of glory. Oh, to sit at the feet of Jesus! Oh, to feel His power in me! As I type this, a sister in Christ lays on her death-bed. Gitzen Girl is full of grace, and has chosen joy in spite of living in pain for the past 14 years. As her world got smaller, her heart for God and others expanded, and she has lived a full and joyful life. She soon will be in the presence of Jesus, her Prophet, her Priest, her King! She'll be free, delivered from her body and from all of the sin that so easily entangles. She'll be experiencing grace first-hand. NO FEAR OF DEATH - it is simply the servant that removes the last rags of carnal clothing so that we can be clothed in glory - a new body with a glorified spirit awaits! WILLINGNESS TO SURRENDER the sinful members of our body to Him to be put to death, so we can give them to Him to reign over them. God created angels as spirits with no material bodies. He created the world as matter without spirit. Man was made in His image, to be both matter and spirit in perfect harmony. This was to be a type of the most perfect union between God and His creation. By sin, however, the material became supreme over the spiritual. Men worried about their bodies, what they would wear, what they would eat, where they would lay their head. That became more important than what was most important - their hearts before God. God's plan was still in place. The Word became Flesh and dwelt among us. And we beheld His glory. we triumph over the fear of death - He is our Redeemer, and we have nothing to fear. we see Christ as Lord of our body - We present our body to Him as a living sacrifice. we look on nature as part of the kingdom of Christ. We know that it groans, awaiting His return. we anticipate life in the heavenly places. How glorious it will be to be finally free and fully restored! Abide in Christ as your wisdom, following Him with humility. Abide in Christ as your righteousness, dwelling clothed in Him before the Father. Abide in Christ as your sanctification, experiencing His power to make you holy. Abide in Christ as your redemption, living here as an heir of future glory. To turn from sin, my Lord. And truly love you well. I'd love you as I do. Sin disturbed all of our relationships and put us out of harmony - with ourselves, with others, and with God. We needed peace - the quietness and assurance that comes when things are right with God. Peace can only come with righteousness, when everything is in God's order and everything is in harmony with His will. Jesus came to restore peace by restoring righteousness. When the sinner is first led to trust in Christ for salvation, he looks more to Christ's work than to His person. He realizes that Christ paid the price for his sin, taking on the punishment he deserved, and that He atoned for him, removing the curse. The new Christian seeks to wear this robe of righteousness by renewing his faith and by being thankful for this glorious gift! But as he grows in grace, he learns about the true union of the believer with Christ, Who made Himself One with His people. The work of Christ does not become less precious; yet the person of Christ becomes more and more precious. We have to remember that we do not love God for the goodies He gives. It's not just about the robe of righteousness that I was given and gladly wear. It's all about Jesus. The Living Christ is my righteousness. You are an object of delight in God's sight. Like Mordecai who was paraded through the streets, wearing the King's robe and his signet ring, we wear the robe of Righteousness. Not only that, but we are IN CHRIST, so we have HIS RIGHTEOUSNESS. Do you seek to be wise? Then abide in Jesus! Ordinary Pastor wrote about the most dangerous person in the church. Knowledge puffs up, but wisdom comes from Jesus. Don't let your soul be satisfied with forms and images of the truth. Jesus is the Truth - seek Him. Abide in Him. 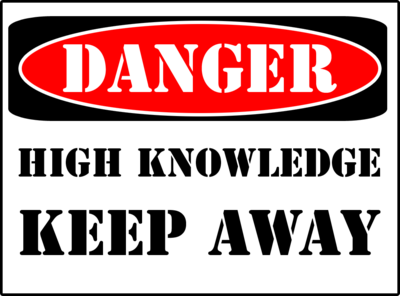 Don't seek knowledge for knowledge's sake. Instead, seek to know Jesus, for in Him are hidden the treasures of wisdom and knowledge. In Him, you can live wisely. "The life you have in Christ is a thing of infinite sacredness, far too high and too holy for you to naturally know how to act it out. He alone can guide you." Life is not easy, and often we encounter things that puzzle, worry, or frighten. We get angry at injustice and frustrated by things that seemingly never change. It's in those instances that we truly need to abide in Christ. I know what I am talking about. I've often been tempted to worry, or to rely on self to "fix" a problem. Just yesterday, three of our children went to piano lessons. I knew there was a chiropractor appointment scheduled after their lessons. I wasn't worried as the clock ticked on. But as it ticked on, and on, and on... one hour, two hours... I began to imagine all sorts of terrible things had happened. Did the car break down on the side of the road? Did a combine come off the field and crash into them? Was I going to see a police car pull into our lane to tell us our kids were in the hospital, or worse? Oh, I prayed and kept on acknowledging how faithless my fears were - but there it was... I was not abiding in Christ. I was relying on self. We must live life confidently, knowing all is perfectly clear to Him. Trust Him! He knows! Not for a moment did Jesus lose track of my children yesterday. Not for a moment were they out of His care. Jesus abides in you, as you abide in Him. He is light, the wisdom of God. The words He speaks are spirit and life to those who live in Him. As you study His word, trust that He will guide you and open your eyes to what He is teaching you. Read the Word humbly, patiently waiting on God to reveal Himself to you. In your work, rejoice that God is guiding you, even where you do not see the way. Jesus is deeply interested in your daily life, its ways and its work. Wisdom is in Him, so abide in Him. Christian, how did you come to Christ? Do you remember fear and trepidation as it dawned on you that God IS, and that He is pure and holy and completely righteous, and that He requires the same of you? Do you remember feeling the corruption and guilt of your soul? How could pardon and love be for a sinner like me? Do you remember feeling the weakness of your resolve, and the ever-present death of your slowly dying body? How could I get the power to surrender and trust? Do you remember the inability to stand firm? How could a sinner like me remain faithful? Corruption and guilt, weakness and death, unfaithfulness and failure - these difficulties were like mountains looming over your soul. How were they removed when you came to Jesus? Simply by the Word of God. We come to Christ by faith. We are united to Him by faith. We are rooted and established in the faith. Abiding in Jesus can only be BY FAITH. Sadly, some Christians who profoundly believe that justification is by faith alone think that everything that follows depends on their diligence and faithfulness. The old nature of the believer remains evil and sinful. that he can bear fruit for God's glory! Learn a lesson from when you first came to know Jesus. He did this for you when you were an enemy and a stranger! 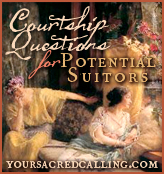 Now that you are His own, will He not do so much more for you? Will He not keep His promises? Oh, Beautiful Saviour, You are my Vine. You hold me fast by your strength and nourish me daily with Your food. You cause me to grow in grace and wisdom, and You see that I bear fruit for Your glory. Remind me each moment that I am a branch in You, my Vine. Without You, I am nothing. You keep me by Your power. I am ever grateful to be Yours. Jesus used this illustration to teach his disciples what it means to Abide in Him. The union with Christ is a living, permanent and complete one; both the vine and the branches are dependent on each other. Without the vine, the branch can do NOTHING. The life, sap, fatness and fruitfulness of the branch are only possible because of its attachment to the vine. As a Christian, only what I do through the power of Christ in me pleases God. The only good fruit I bear is through the life-sap of the Holy Spirit. I know this; it is not a surprise to me. I know that I can only do what is pleasing in God's sight if I do it as I am led by Him. But there is a surprise in this parable. 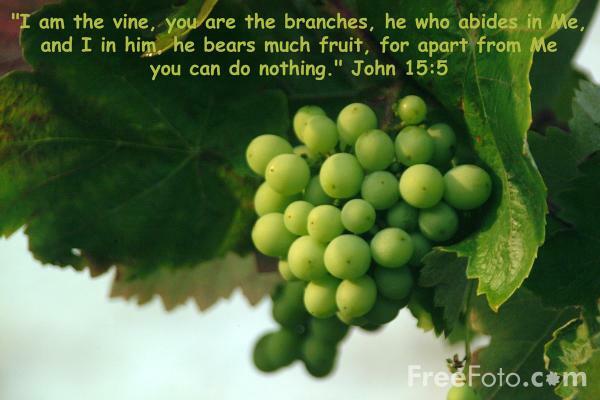 Without the branch, the vine can also do NOTHING. A vine with no branches bears no fruit. Such is the wonderful condescension of the grace of Jesus; just as His people are dependent on Him, He has made Himself dependent on them. Without His disciples He cannot dispense His blessing to the world. . . This is God's own doing, giving such high honour to those He has called His redeemed ones! As neither vine nor branch is anything without the other, so is neither anything except for the other. ALL THE VINE POSSESSES BELONGS TO THE BRANCHES! The vine does not gather the minerals from the soil for itself - all it does in its work of bringing minerals, water, and nutrients from the soil is FOR the branches! ALL THE BRANCH POSSESSES BELONGS TO THE VINE! The branch bears fruit that proclaims the excellence of the vine; it has no reason to exist except to be of service to the vine. The entirety of the believer's consecration is given for service to his Lord. ONE THING to live for: the will, the glory, the work, the kingdom of JESUS. To bear fruit. Only to bear fruit. "Every branch in Me that does not bear fruit He takes away." Can you say with Andrew Murray these heartfelt words? "Jesus is indeed to me the True Vine, bearing me, nourishing me, supplying me, using me, and filling me to the full to make me bring forth fruit abundantly." "I am indeed a branch of Jesus, the True Vine, abiding in Him, resting on Him, waiting for Him, serving Him, and living so that through me, too, He may exhibit the riches of His grace, and give His fruit to a dying world." "It is my desire to make you a fruitful branch; Only abide in Me. You are weak, but I am strong; You are poor, but I am rich. Only abide in Me. the surrender of faith, knowing the STRONG VINE will hold the weak branch. Is a life of unbroken fellowship with my Saviour possible? "Abiding in Christ is meant for the weak and is beautifully suited to their frailty. . . It is simply weakness entrusting itself to a MIGHTY ONE to be kept, the unfaithful one casting itself on ONE WHO IS altogether TRUSTWORTHY and TRUE!" We only have to yield, to trust, and to wait. Jesus is the living home of my soul. False thinking: Saved and pardoned by grace, and now working to live as Christians.Praying for help, but considering the work as MY work to do. Jesus' words are not words of the law, demanding us to DO. They are words of grace, blessing us with belief. A Father is helping his son climb a steep precipice. The son has no strength, but he thinks he can do it...but in reality, the Father's strength keeps him on the right path. The Father's wisdom shows where to go. 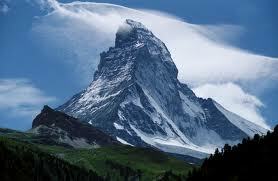 The Father's power makes the child's climb successful. The work of being a Christian is Christ's alone. His aim is to have me abide in Him. For this, Christ took hold of me. He leads me on the climb. He shows me where to go. His strength and power and wisdom are mine as I climb. Without Him, I cannot do anything. He Who sought me and found me? He Who brought me near? Can I trust Him to keep me? To keep me IN HIM, moment by moment, day by day? Lift me to the place You bid me to go. Lift me there, dear Lord. I do abide in You. SAVIOUR, I ABIDE IN YOU. Don't you want to rest? In the hustle and bustle of everyday life, don't you want to just stop, and retreat, and run from the chaos, and REST? When Jesus calls you to Himself, He welcomes the weary one into His rest. 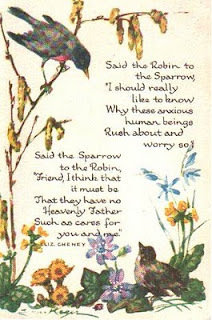 There is joy and delight initially, but the believer begins to worry, to fret, to work. He sees his failures and tries harder. Where is that rest that was promised? Did Jesus fail to give rest? Jesus gives undisturbed rest to those who ABIDE in Him. Do you want to know the secret of how to get Perfect Rest? Entire surrender to Jesus is the secret of perfect rest. Give up your entire life to Jesus. Take up His yoke. Relax in His leading and teaching. Be what He wills. Do what He wills. Abide in Him. He says, "My yoke is easy." The soul yields itself to obey, and the Lord gives the strength and the joy to do it. The soul turns to the Master Teacher to learn; the Lord's gentleness meets every need. The soul surrenders itself to abide in Jesus, the Lord's almighty love keeps and blesses. Do not struggle. Surrender. Here are two illustrations to think about. The weary traveller sees the inn, and heads there to rest. Does he become more weary while resting in the inn? The fretting child is comforted, resting in his mother's arms. Does he feel like he is working while he sits on her lap? The traveller throws himself on the bed, and rests. The child relaxes in his mother's arms, and rests. Resistance would not give rest. Refusing to enter the inn would not bring rest to the weary one. In the same way, resisting the yoke of Jesus makes life difficult. He says, "My yoke is easy; my burden is light."